Laurent Lantieri is a Professor of Plastic Surgery at Assistance Publique Hopitaux de Paris and Head of the Plastic Surgery Department at Georges Pompidou Hospital at Paris Descartes University. In 1963 he attended Medical School in Paris at Paris Descartes University. He became a resident in Surgery in 1986, succeeding at the national french residency contest. In 1993, he was research fellow at Washington University in Dr Khouri's laboratory in the department of plastic surgery which was directed by Dr Paul Weeks. From 1994 to 2002 he was at Henri Mondor Hospital and became a full professor in 2002 and the Head of Department in 2003. His activity has focused on several topics. He implanted and developed the use of perforator microsurgical free flap in France. He took a major part in the developing the French referal center for the management of neurofibromatosis. 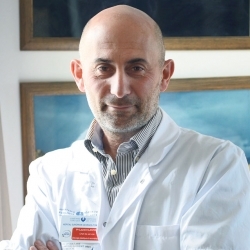 He specialized part of his activity on the surgical management of plexiform neurofibromas and developped original techniques for facial dysfigurement due to plexiform neurofibromas. His team has performed today 7 of the 28 face transplant worldwide, which is today the largest series. In 2012, Dr. Lantieri published 100 papers in peer reviewed journals and 8 chapters in books. He has received the James Barret Brown Award from the American Association of Plastic Surgery and for best publication in 201. He has delivered the Plastic Surgery Education Foundation Maliniac Lecture at the American Society of Plastic Surgery in 2011 and received the Legion d'honneur ( highest french civilian medal) in recognition for his work in 2012.